TAL has a total dedication to quality but for us, this word is interpreted in the broadest sense possible. This not only entails the use of the best available materials and finishes but also covers topics such as innovation, competitive pricing, good deliveries, attractive and user-friendly catalogue material, support both pre- and post sales and the flexibility to constantly produce trendsetting and exciting designs. 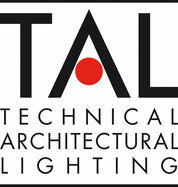 TAL’s mission is one of technical and aesthetical innovation. Groundbreaking products such as our Symbiosis family, Smartfader, Geena, B4 and Victoria (many of which have won prestigious awards) and exquisite collections such as Black&Gold, White&Chrome are witness to this mission and they are paving the way to our constant growth and success.